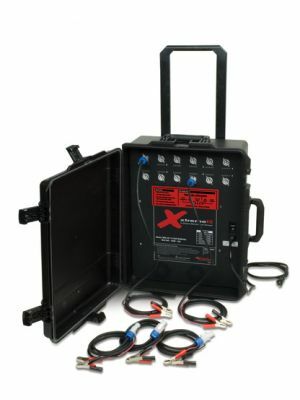 The 25' Single Extension Cable gives your Xtreme HD Suitcase Charger and Pallet Charger even more flexibility and accessibility to charge batteries on the pallet, in a shop or wherever they're being stored. When you need to reach up to 25 foot farther, this 14-gauge extension cable with male and female connectors can give you that extra length to do the job. 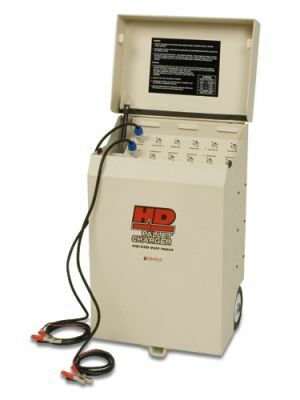 Just connect to one of the stations of your SC-12 (746X810), SC-6 (746X816), SC-2 (746X814) or your 12-Station Heavy Duty 12-Volt Pallet Charger (746X820) to get to those hard to reach battery locations.